An 862 sq ft, one-bedroom duplex at Altez has been put up for sale for $1.72 million ($1,995 psf). The 62-storey condominium by Far East Organization is located in vibrant Tanjong Pagar in District 2. The unit for sale is owned by a foreigner, who bought it for $1.93 million ($2,304 psf) in 2011 as an investment. He has decided to put it up for sale to unlock its value, says marketing agent Merry Tjandra, associate branch director at Propnex Realty. 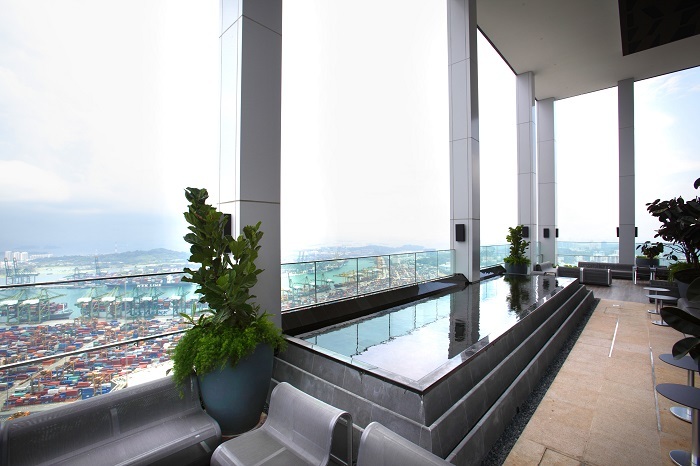 The unit’s master bedroom has unobstructed views of the surrounding area, including The Pinnacle@Duxton. Located on the 32nd floor, the unit has been regularly leased out for the past seven years with an average monthly rent of $5,200. This translates into an annual rental yield of 3.6%, based on the current asking price. Altez, on Enggor Street, is connected to the adjacent Icon Village shopping mall and is next to the 100 AM retail mall. It is close to the financial district and transport links such as the Tanjong Pagar MRT station and Marina Coastal Expressway, making the condo an attractive choice for corporate executives and expatriates, says Tjandra. The only transactions at Altez so far this year involved two one-bedroom units in February. In the first transaction, a 527 sq ft unit on the 16th floor fetched $1.21 million ($2,294 psf) on Feb 6. Then, on Feb 28, a 603 sq ft unit on the 14th floor was sold for $1.3 million ($2,157 psf). The 99-year leasehold Altez comprises 208 units, including one-bedroom units of 527 to 896 sq ft; two-bedroom units of 837 to 1,029 sq ft; three-bedroom units of 1,636 to 1,729 sq ft; and penthouses of 2,444 to 4,054 sq ft. The condo was completed in 2014.